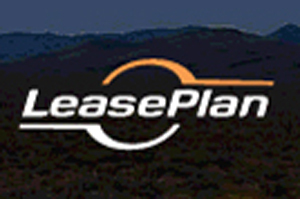 Leaseplan UK has appointed Venues Event Management to deliver an incentive event for the second consecutive year in Morocco. The fleet and vehicle management company’s three-day Network Platinum Franchisee event will take place on 1 October at the Hotel Palmeraie Golf Palace and Resort in Marrakech. It aims to reward the company’s top 18 performers for delivering impressive results. Venues Event Management’s services will include venue-finding, pre-, on-site and post-event management, online delegate registration through a dedicated website and a teaser campaign. Leaseplan UK network brand director Jo Elms said: "We were very impressed with the proposal that Venues Event Management put forward, and in particular, their knowledge of the destination. They demonstrated a good understanding of the audience and what would appeal to them. Their passion and enthusiasm really brought the incentive to life." The itinerary will include a Bedouin feast featuring fire-eaters, belly dancers and camel racing, as well as tour of famous sites including the Bahia Palace and the Koutoubia Mosque.